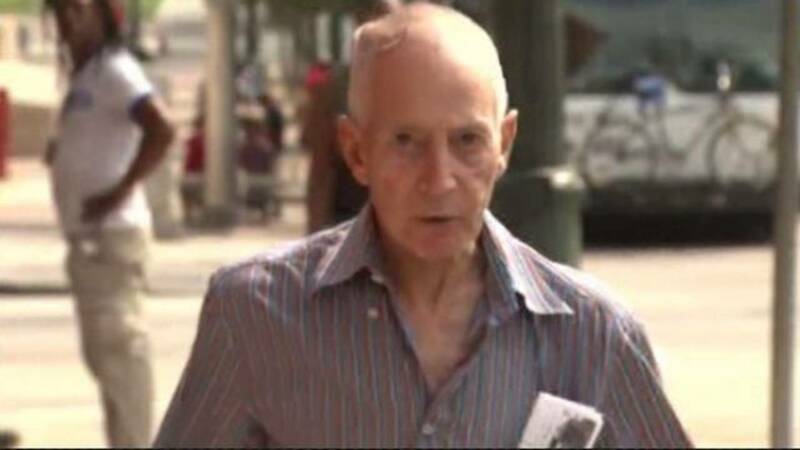 HOUSTON - New York City real estate heir Robert Durst pleaded no contest Tuesday to a charge of criminal mischief for urinating on candy at a Houston drug store. In July, Durst exposed himself inside a CVS pharmacy on Kirby Drive near his home, then urinated on a candy display and cash register. He left the store before police arrived, but later turned himself in. After his plea, Durst was ordered to pay restitution to CVS for the Class C misdemeanor. It's the latest twist in the strange saga of the real estate mogul. Durst made international headlines during his murder trial in 2003 when he was accused of shooting and killing his neighbor, Morris Black, dismembering Black's body, and then throwing his body parts into Galveston Bay. At the time, Durst was dressing as a woman and living at a Galveston boarding house, despite his sizable wealth. Durst admitted to killing Black, but claimed it was done in self-defense. A Galveston County jury acquitted Durst on murder charges. However, Durst was sentenced to five years in prison on evidence tampering and bond jumping charges related to the case. Durst was rearrested in 2005 for a parole violation when he was spotted near the Galveston boarding house where the killing occurred. Durst was questioned about the disappearance of his first wife in 1980, and about the case of a woman friend found dead in California in 2000. He was not charged with any crime in those cases. An attorney for Durst says the 71-year-old multimillionaire suffers from Asperger's syndrome, a form of autism, and that he has had health issues in recent years.